Since MR. D.I.Y. first outlet opened in Jalan Tunku Abdul Rahman in July 2005, we have been dedicated to make a difference in the lives of our valued customers. Today, MR. D.I.Y. is proudly a home grown enterprise with over 100 outlets throughout Malaysia. Each of our outlets spaces encompasses averagely 10,000 square feet providing a comfortable and wholesome family shopping experience. We employ more than 2500 employees serving more than 45 million customers yearly at all MR. D.I.Y. outlets throughout Malaysia. All our outlets are managed directly by our company and we work in collaboration as mini anchor tenant with Tesco, Giant, AEON and AEON BIG (formerly known as CARREFOUR). MR. D.I.Y. offers more than 30,000 products ranging from household items like hardware, gardening & electrical to stationery, sports, car accessories and even jewellery, cosmetics & toys. We endeavor to provide quality products sourced directly from our reputed global manufactures ensuring our products are always at the most reasonable prices. Our culture is how we work together to fulfill our purpose of helping customers and communities to save money by offering lower prices and great service so they can live better. 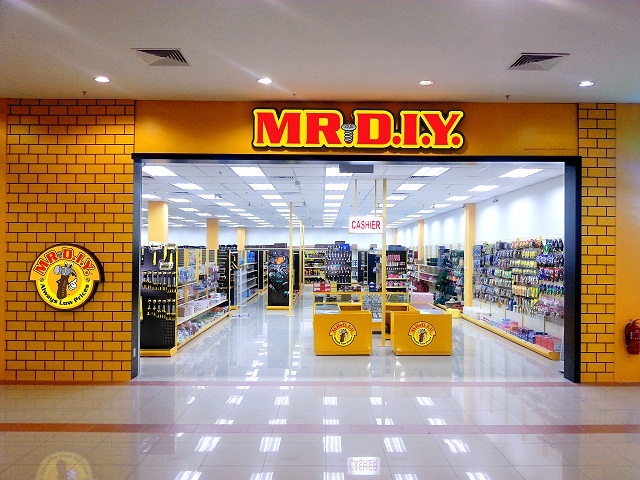 MR DIY (KUCHAI) Sdn. Bhd. Address: Lot L2-17, 2nd Floor, No. 12, Persiaran Anggerik Vanila, Kota Kemuning Seksyen 31, 40460 Shah Alam. MR,MRS,SIR, ADA LAGI TAK KERJA KOSONG DI MR.D.I.Y KOTA KEMUNING BAHAGIAN PROMOTE.